Songlines, Sun Dreaming (2001) for orchestra was commissioned by Mrs. Lucy Hodges and is dedicated to Australian composer Peter Sculthorpe. The title is based on ideas that Sculthorpe commonly connects with his music: the idea of “songlines” (lines of song running throughout the earth as creation sang itself into existence), the sun (part of what he sees as the essence of Australia), and dreaming (part of the moods and nostalgia he associates with Australia’s heritage.) There are some musical allusions to Sculthorpe’s work (his G-Ab-G “earth motto” and his predilection towards certain intervals.) The idea of “sun dreaming” is connected to the nocturnal aspects of the work — for during the night, the sun can be seen as both dreaming itself, as we the inhabitants of the earth dream for the sun. 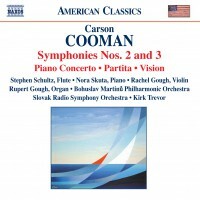 However, this is not a piece about Australia, but rather an American composer’s response to some of the ideas which Sculthorpe has continually engaged. The work begins with an invocation to the earth—a 2-part theme which returns frequently throughout the remainder of the piece. The song deepens as harmony and counterpoint are added. A middle emerges in which the strings present an “earth murmur” (the constant, breathing pulse of the earth). Over the top of this, the earth comes alive. After reaching a climax, this dies away and we are left with a bare landscape, unchanging, over which fragments of the songlines are heard—hovering like the sun above.